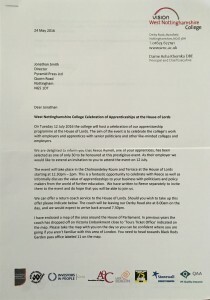 Reece has been invited to the House of Lords. We invest a lot of time and effort in our Apprenticeship Scheme. It is always pleasing to see how our apprentices grow in confidence and add real value to Pyramid. 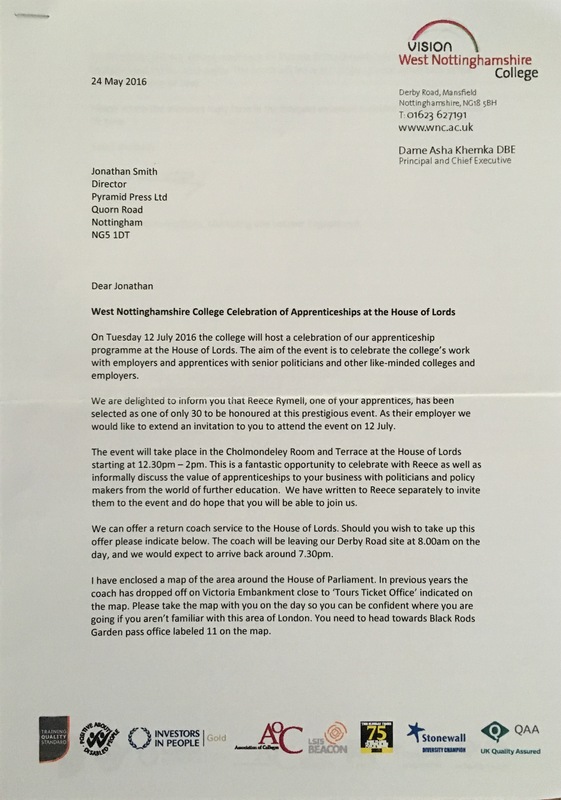 Reece, our I.T Apprentice, has excelled and his hard work has been rewarded by being shortlisted to attend a prestigious event at The House of Lords. Reece is one of only 30 students selected by West Nottinghamshire College to attend this event. The aim of event is to celebrate the college’s work with employers and apprentices with senior politicians and other like-minded colleges and employers. We all very proud of Reece’s achievement.